Two beloved game modes in Call of Duty: Modern Warfare Remastered—Prop Hunt and Slasher—may become permanent additions depending on fan votes. 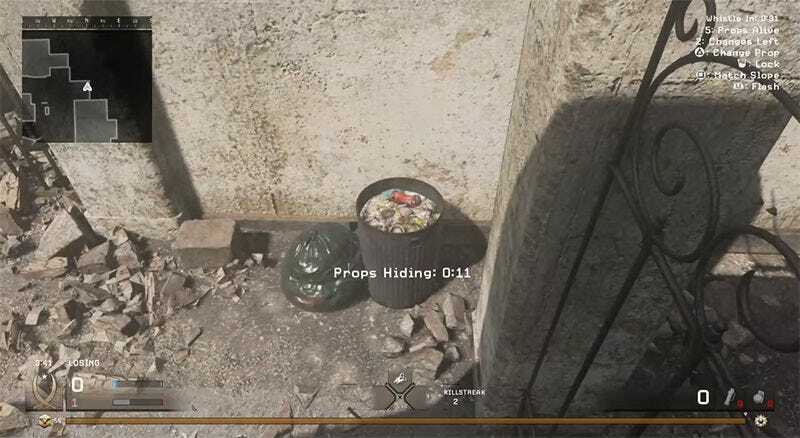 Prop Hunt, in which one team spawns as inanimate objects and the other team hunts them down, is in the lead! Vote for Prop Hunt or for Slasher via Twitter before August 1st.